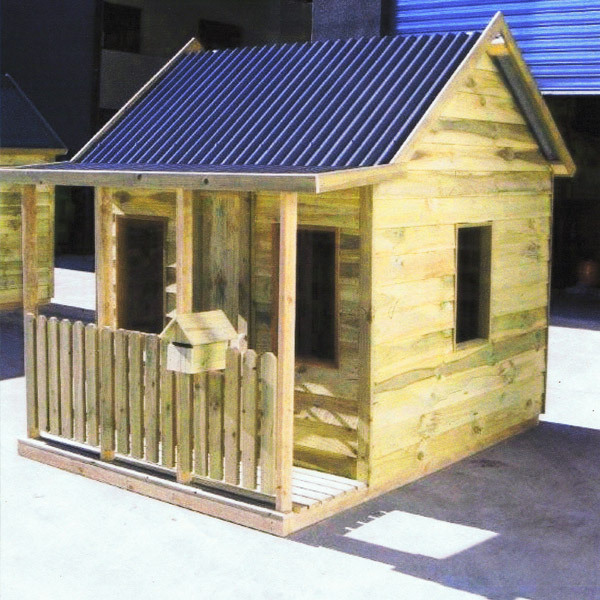 The wooden Cottage is a popular seller in our range and ideal for people with less space available in their backyard. 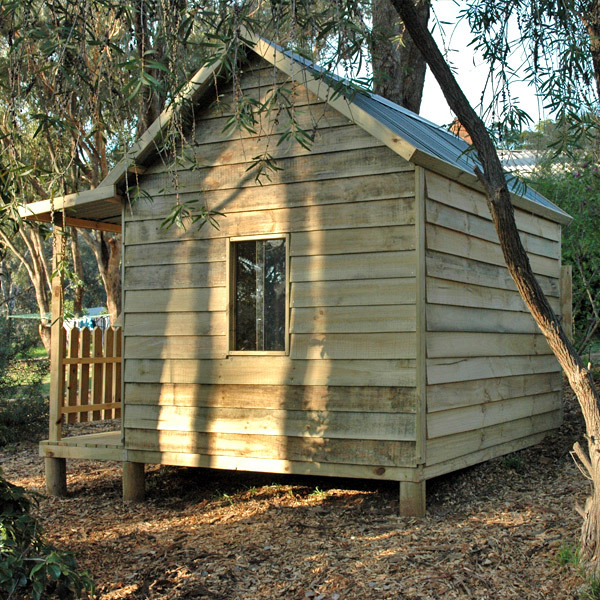 The Cottage is essentially a smaller version of the Club House and has similar range of optional extras. 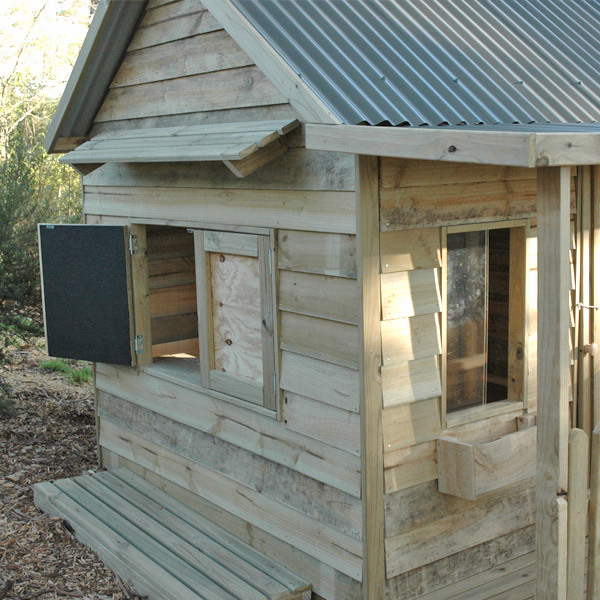 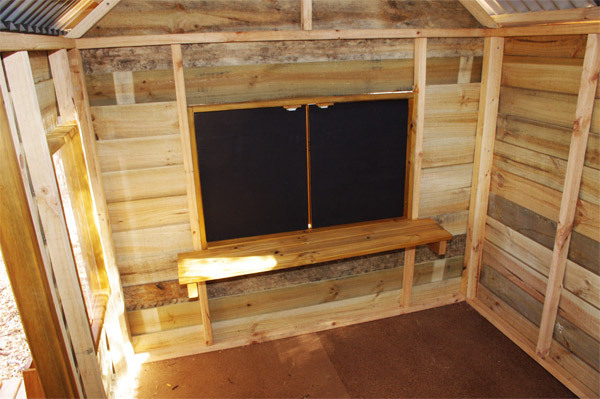 It offers a tidy timber cubby 1.8 X 1.8m with an extra 0.6m veranda, for children to play in. 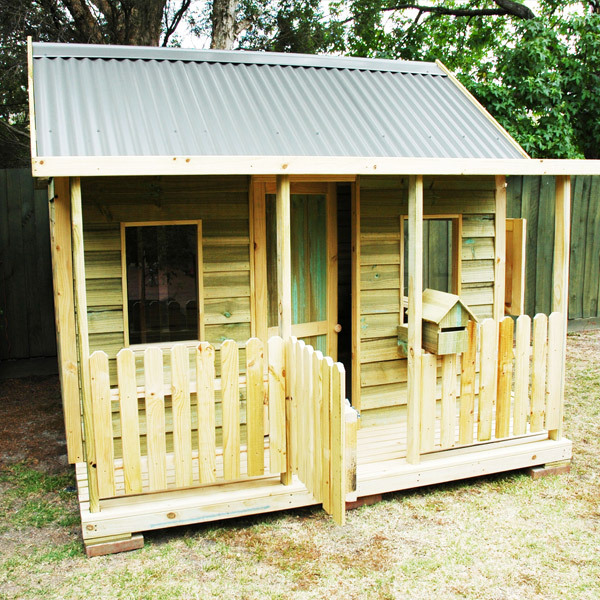 It comes complete with 2 front windows and clear sliding acrylic panels, standard door, picket fence, gate and letter box. 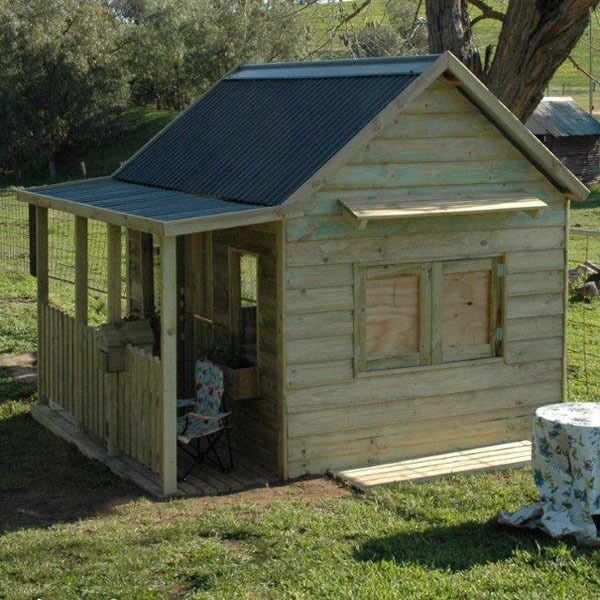 Like all of our timber products, is made from kid safe ACQ treated pine cladding as standard, has a sturdy yellow tongue covered floor on a treated pine frame and a Colorbond corrugated iron roof – your choice of colours from the Colorbond range. 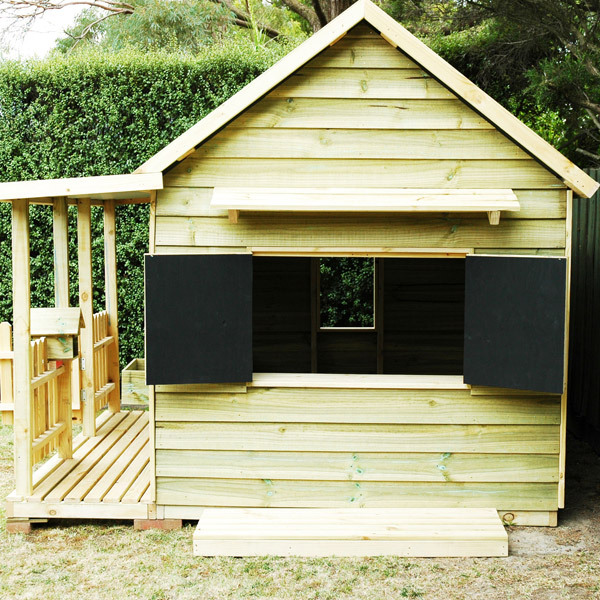 Please note our cubbies, like all of our timber products, can be upgraded to include many options and variations including those below.